We are living in an intolerant country. Let me get that clearly and emphatically out of the way. While the primary concern earlier was indifference when people did not care about anybody else except themselves these days the politics in both the state and the centre have tilted towards homogeneity depriving us of the beautiful diversity that was something I always learnt and believed in. Today the rule of “if you are not with us you are against us” and this is having some very sad consequences to many. Differences are the building block of our country and in a nation where some many differences existed to merge into a wonderful collage that is India is now being pushed to a monochrome. I look back at my early years and I find that the more we have moved ahead the more we have regressed. 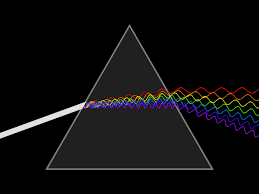 Light gets dispersed in the prism, it may be hard for people to reconcile to the fact that the seven colours combine to produce light. We need light for there is no life without light but light is a combination and I would not know how light would be if one or more shades of the VIBGYOR are missing. Will light be light? I remember fondly my school days when things were simple; I remember lunch times when mothers used to come with lunch for their sons in that boys preparatory school. I remember when we used to enjoy different cuisines lovingly handed out by other mums, we had vegetarians, non-vegetarians, and we had Tamilians, Malayalees, a Bengali, Anglo Indians and so many more eating and sharing. What we did not eat we did not take nor did we impose but we loved the food that others had which was different from our own. Life was so simple those days. Today there is a desire to build one homogeneous whole with food, clothes, religion, language, behaviour, sexual orientation, political affiliations, caste, community and so many more. In a free country we have to remind ourselves and others constantly that my freedom ends with my nose and so does that of my neighbour. I delighted in our diversity and I still do. I fear for my child that when she reaches the age of reason and adulthood she may never know the India I love. It is always sad when a culture demands that everyone fit into the same box instead of celebrating the ones who refuse to! Good post!